Your website plays a key role in shaping potential clients’ impressions of your business. If you run a marketing site, it’s especially important to have the features you’ll require to convert visitors, get them invested in your company, and prove you can deliver what they need. 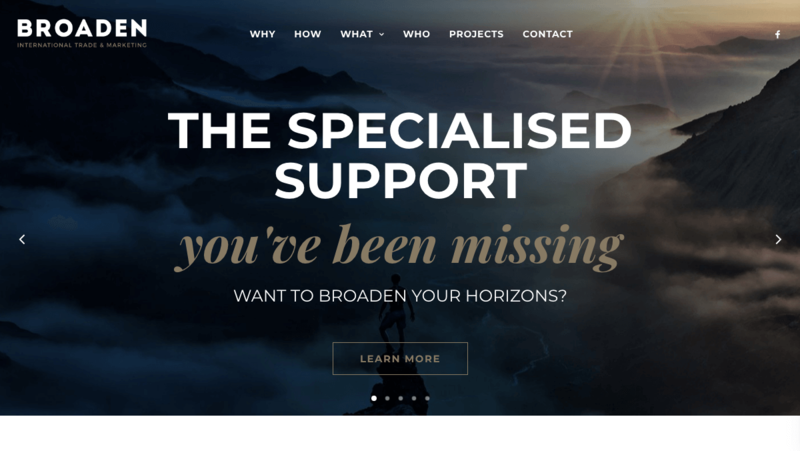 Fortunately, with the right WordPress theme, you can easily build a website that draws leads in and convinces them to become clients. 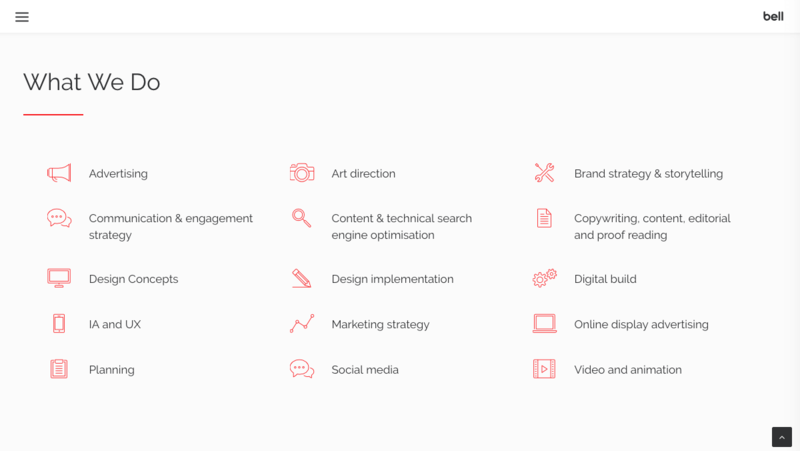 With our multipurpose theme, Uncode, you’ll have access to a variety of features, demos, and customization options to help you build the perfect marketing site. In this article, we’ll point out some of the features Uncode provides that are useful to marketing sites. Then we’ll introduce you to six top-quality examples of sites that were built with Uncode, and show you how they’ve put the theme’s features to work. Let’s get to it! Uncode helps you add these features to your site using pre-built forms and buttons. These elements are customizable enough to fit in with your site’s design, and provide a seamless brand experience for your visitors as well. Having access to pre-built page and section layouts for About pages, lists of services, and other key site areas makes including the right information fast and easy. What’s more, Uncode’s design will make sure your pages and sections are organized and easy to read. Finally, it’s important to remember that your site is also an example of your abilities in action. 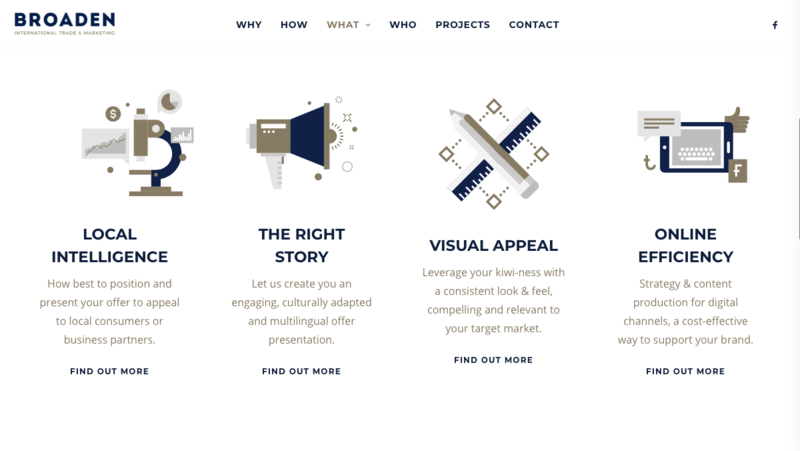 Displaying your marketing expertise with a well-branded site is vital to attracting clients. If your own content isn’t both consistent and clear, leads probably won’t trust you with their marketing needs. The customization options in Uncode enable you to add your own branding – including images, slogans, logos, and color schemes – to both your site as a whole and its smallest features. Not only can you build a unique site, therefore, you’ll also have full control of your branding and image. 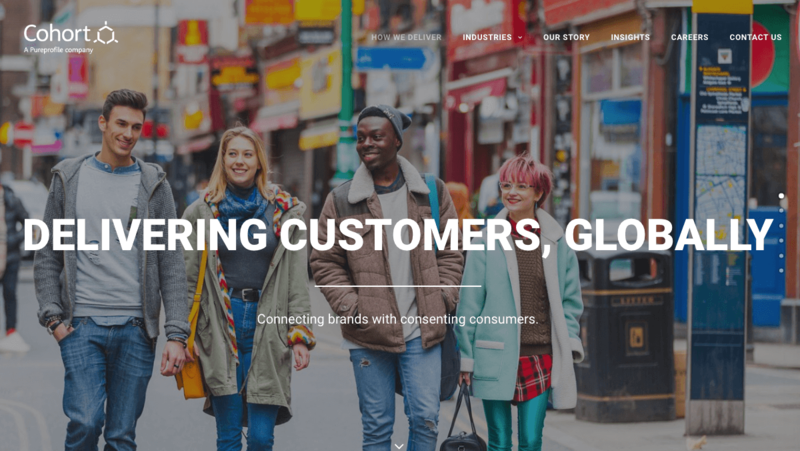 To put everything we’ve discussed so far into context, let’s look at some of the successful marketing websites that use our theme. Each of these six sites has put Uncode’s features to good use, and found a creative way to show off the company’s skills to potential clients. 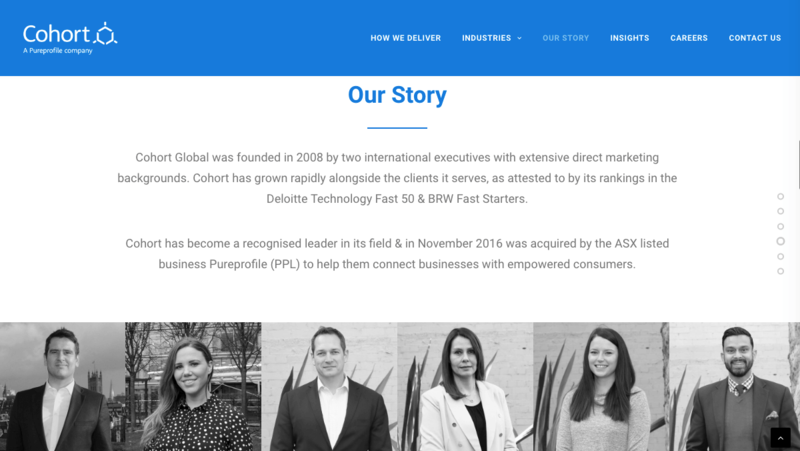 Cohort uses digital marketing platforms and superior customer service to connect clients and businesses. With offices in New York, London, and Sydney, this marketing company has grown significantly since its founding in 2008. Shining a spotlight on the people who work for your marketing agency is one of the best ways to ‘hook’ visitors. It shows that there are real people behind your branding, and helps to promote trust. 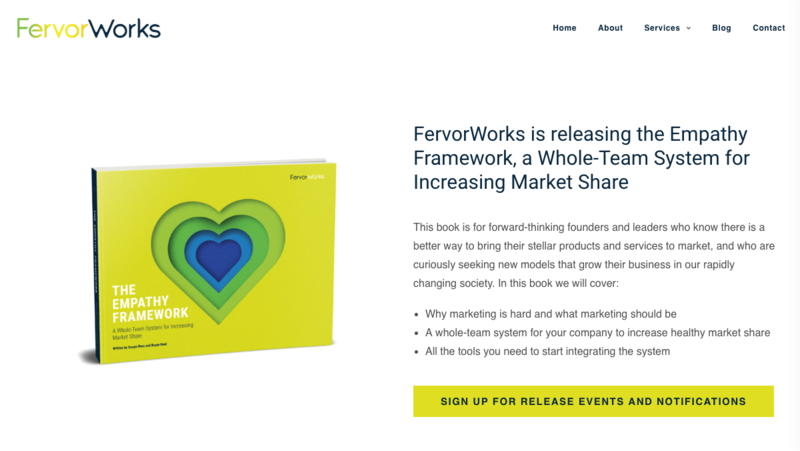 Empathy is the main focus of FervorWorks. The company trains its clients to deliver top-notch customer service through workshops, interim CMO positions, and implementing systematic frameworks. 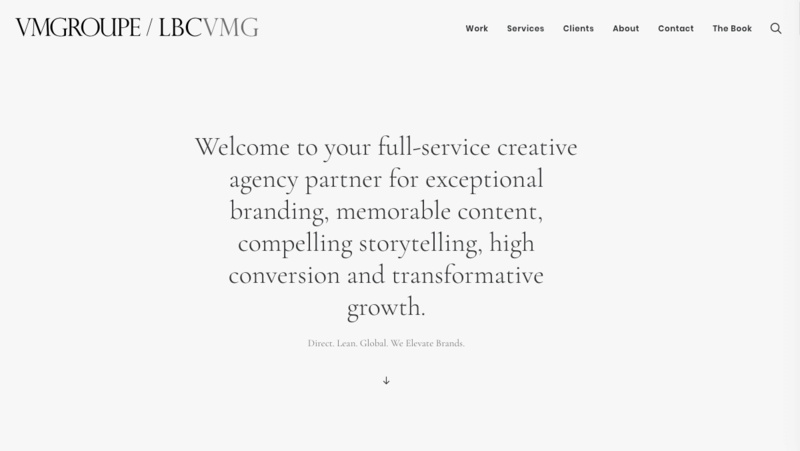 It’s also worth noting that the distinctive and bright color scheme helps this site stands out from the crowd. With Uncode, FervorWorks was able to easily incorporate its memorable yellow accent color throughout the site, using the theme’s custom buttons. 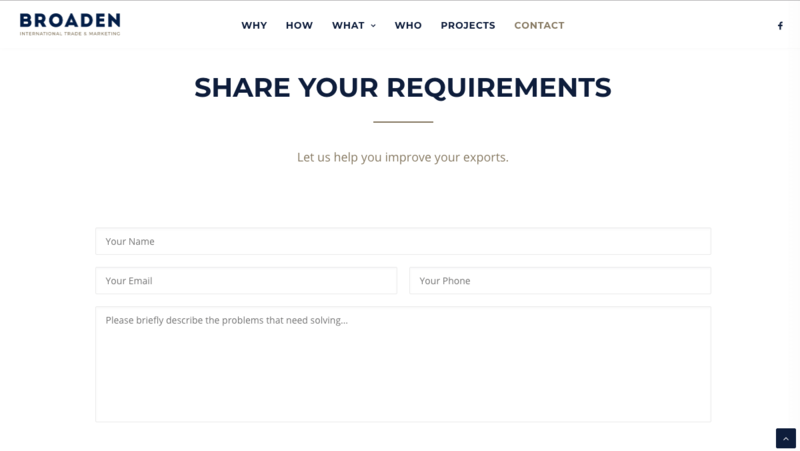 This international marketing company focuses on solving export marketing problems. 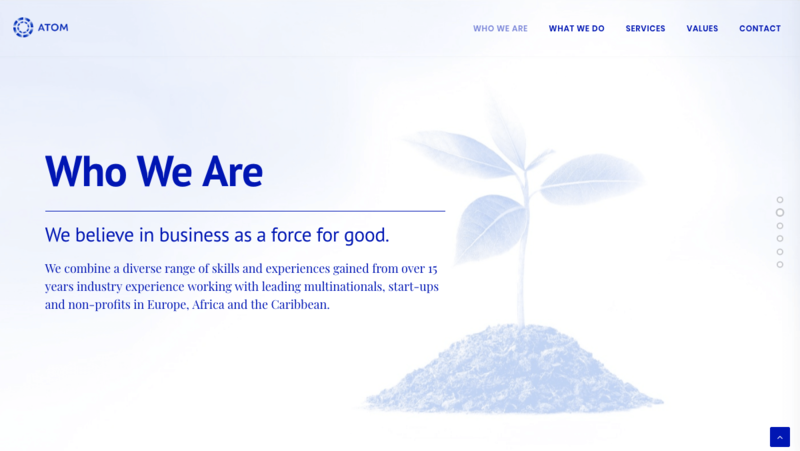 Broaden helps companies on both local and international fronts, offering a wide range of services to improve branding. In addition, this company’s site takes brand consistency to new heights. Its blue and bronze color scheme extends even to the fine print, and to the icons in its services sections. The site is an excellent example of the work Broaden is capable of, clearly demonstrating its abilities to visitors. 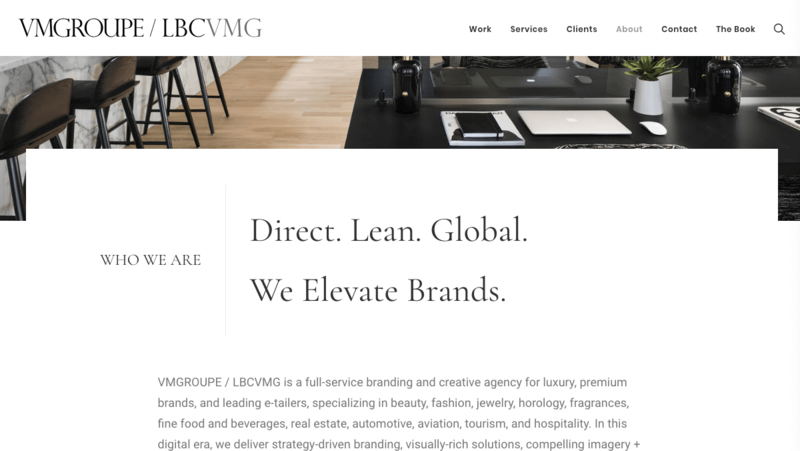 Specializing in beauty, fashion, and luxury branding, VMGROUPE produces strategic content and helps clients with brand development. It also provides insights on public relations and events, offers strategic consulting, and designs digital environments. Speaking of aesthetic, VMGROUPE has also incorporated images in a way that creates a feeling of beauty and luxury. This results in an undisrupted brand experience, and the well-selected visuals look natural within Uncode’s layout. Plus, those images are adaptive – meaning that they’ll look and perform just as well on mobile devices. Bell combines branding, design, and communications to help clients run successful long-term marketing campaigns. Its site lists extensive skills and areas of interest for potential clients, yet avoids overwhelming them with information. 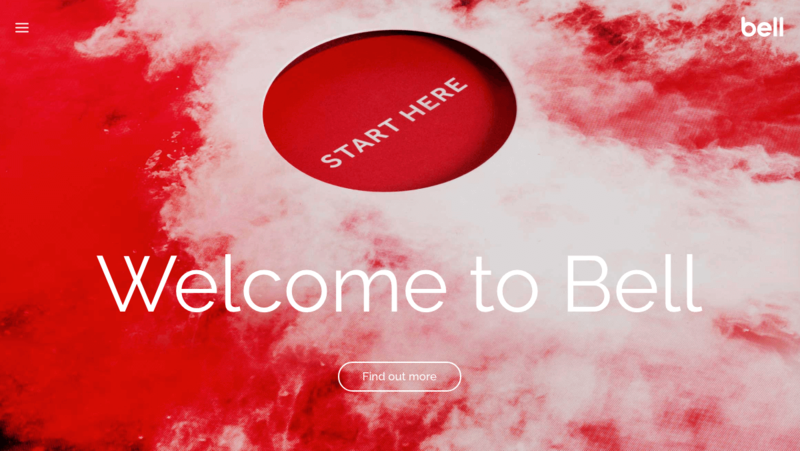 The bright red accent color and sleek, modern typography support Bell’s brand identity as a bold and innovative company. By using Uncode’s features to their fullest, Bell demonstrates its ability to provide clear and helpful information. 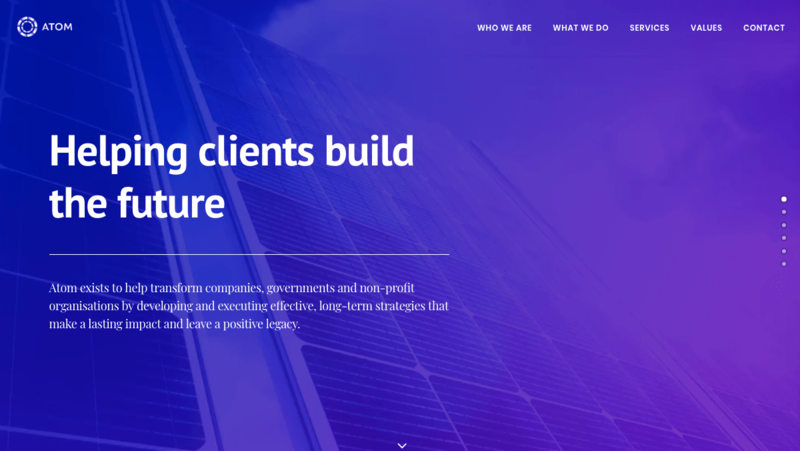 Drawing on its experience with multinational businesses, start ups, and nonprofits, Atom delivers effective marketing strategies to its clients. It also recognizes the importance of technology in today’s climate, and strives to produce innovative solutions to its clients’ problems. Overall, Atom’s choices when it comes to using Uncode’s layouts support its claims about valuing efficiency. 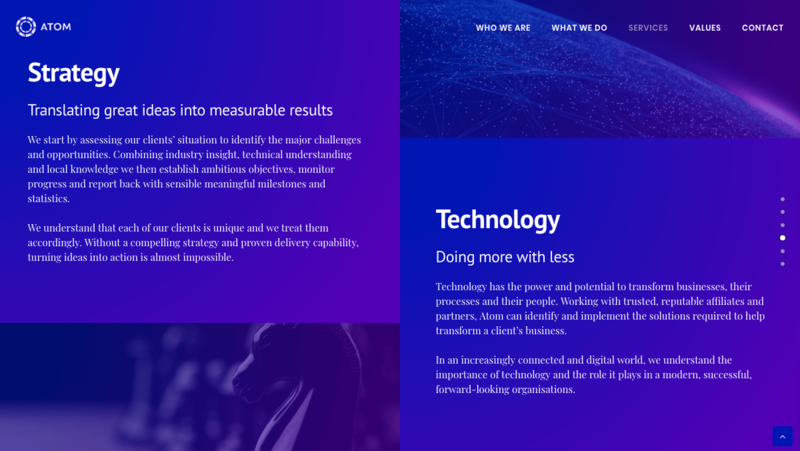 By highlighting its priorities through web design, this company presents an effective and consistent brand experience. 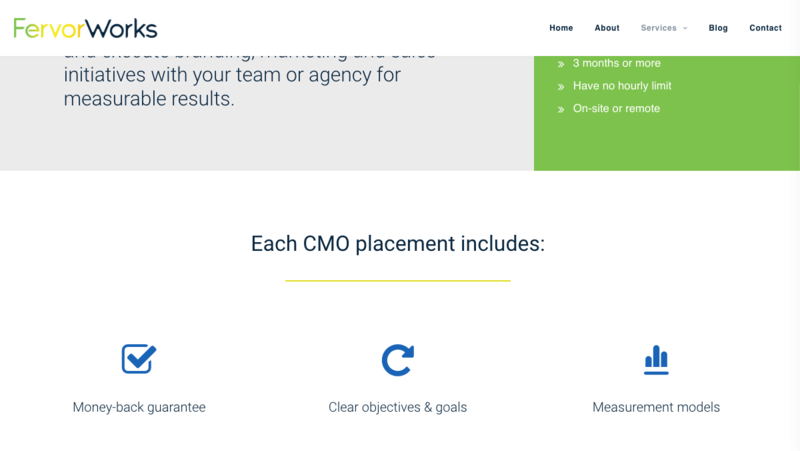 A strong marketing website should be built to reflect your agency’s approach to serving clients. 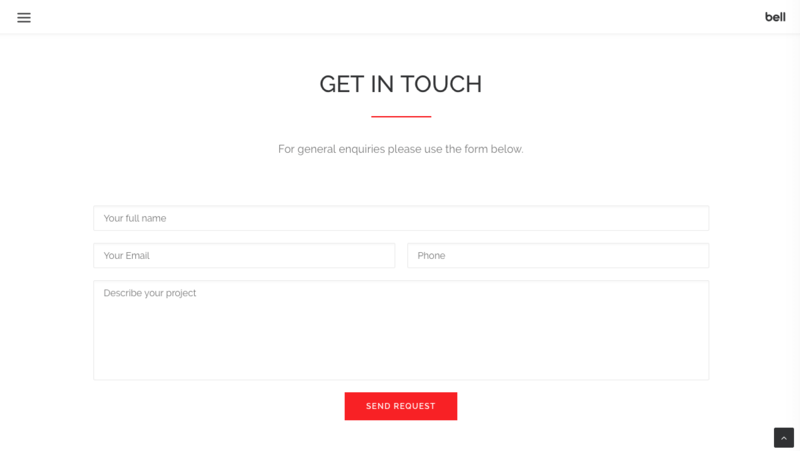 With Uncode, you can create an engaging and unique marketing site that leverages features such as CTA buttons and contact forms, and gains visitors’ trust through well-designed About pages and services sections. Although each of the sites we introduced above was built with Uncode, every one was distinct and true to the individual company’s mission and values. 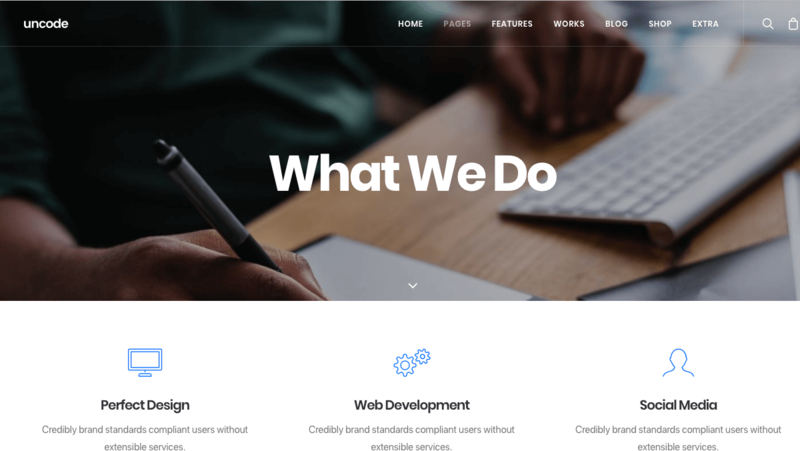 Thanks to its extensive customization capabilities, our flagship theme can help you create a site that shows off your brand just as effectively. 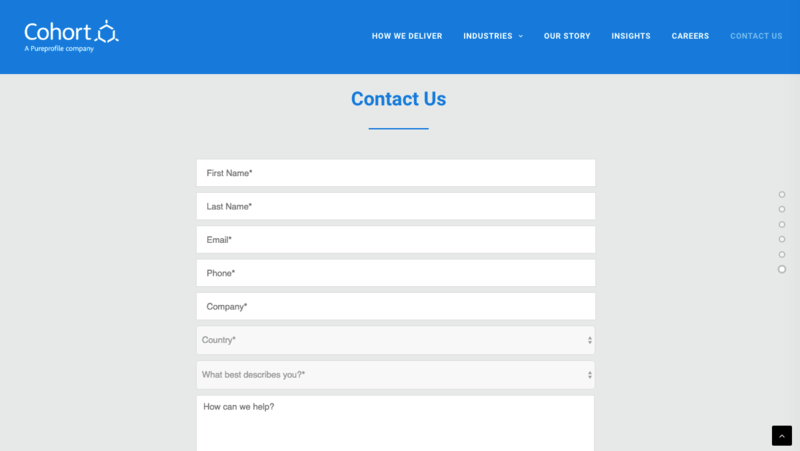 Do you have any questions about using Uncode to create your marketing site? Leave them in the comments section below!